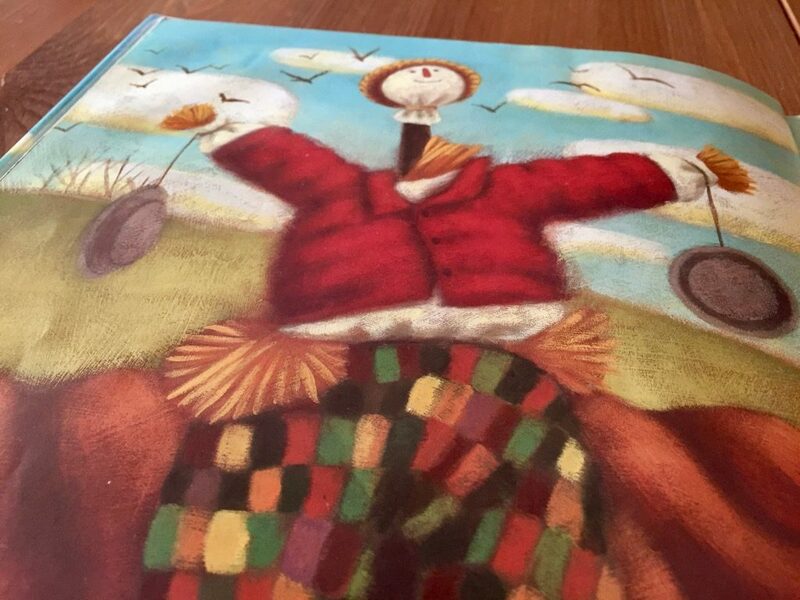 A heartwarming children’s book that celebrates the intricacies of life from a scarecrow’s perspective. The conundrum Tolstoy described has served as inspiration for innumerable self-help books. But it’s a problem that simply doesn’t exist in Scarecrow (public library), an elegant and thought-provoking children’s book written by Cynthia Rylant and illustrated by Lauren Stringer. The main character — a scarecrow — is an inanimate object who is self-aware and deeply introspective. He’s confident in his place in the world and appreciates his life, however short it may be. Scarecrow sets a great example for readers. In an age when many people are consumed by existential anxiety and dread, the scarecrow’s attitude is quite refreshing. In fact, the book itself could serve as a metaphor for life. Buried underneath the surface of the playful children’s story are a series of clever, Tao-like philosophical messages that stick with readers. Accept your condition. Observe what’s happening around you. Develop an appreciation of the small things in life. His hat is borrowed, his suit is borrowed, his hands are borrowed, even his head is borrowed. And his eyes probably came out of someone’s drawer. But a scarecrow’s life is all his own. It takes a certain peace, hanging around a garden all day. It takes a love of silence and air. A liking for long, slow thoughts. 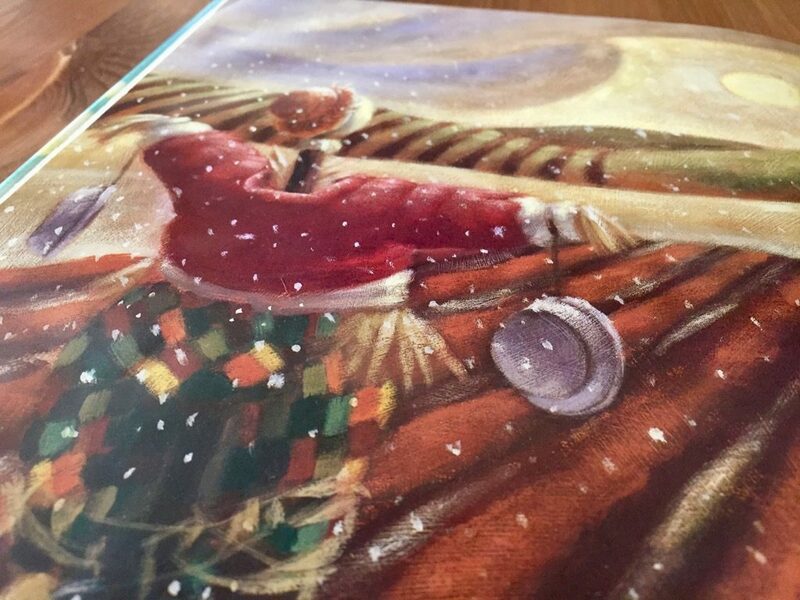 By portraying the scarecrow’s life over a calendar year, the story figuratively explores the seasons of our lives and gently reminds us of the fact that we’re mere mortals. The scarecrow continuously reflects on the fact that he has been fortunate enough to experience many wonderful things. He considers himself lucky. The scarecrow doesn’t care what he is made of or how long he might last, for he has been a witness to life. The earth has rained and snowed and blossomed and wilted and yellowed and greened and vined itself all around him. His hat has housed mice and his arms have rested birds. A morning glory has held tight to his legs and a worm is living in his lapel. There is not much else a person might want, and the scarecrow knows this. 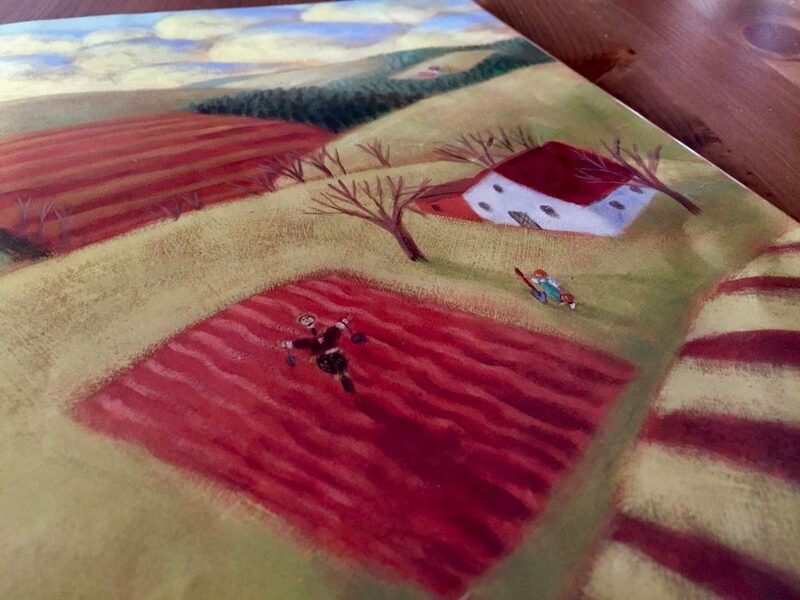 Stringer’s beautiful paintings capture the intricate details of the scarecrow’s life. The pages really give readers a feel for every season of the year. The inspiration for Scarecrow may have come from Rylant’s younger years. According to an interview with NPR, the renowned author grew up in a rural West Virginia coal mining town. There were seven of us in a little house, tiny house, out in the country. We didn’t have any indoor plumbing. It was very isolated. No libraries, of course. And it was a really wonderful experience. And so in my books you might notice that there’s a theme of nurturing among all the characters. They’re all taking care of each other. They’re being steady and reliable and loving. 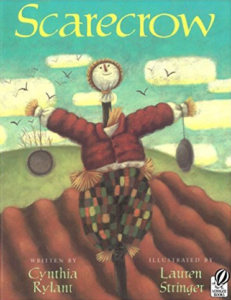 Scarecrow is a beautiful story that celebrates life from a scarecrow’s perspective. 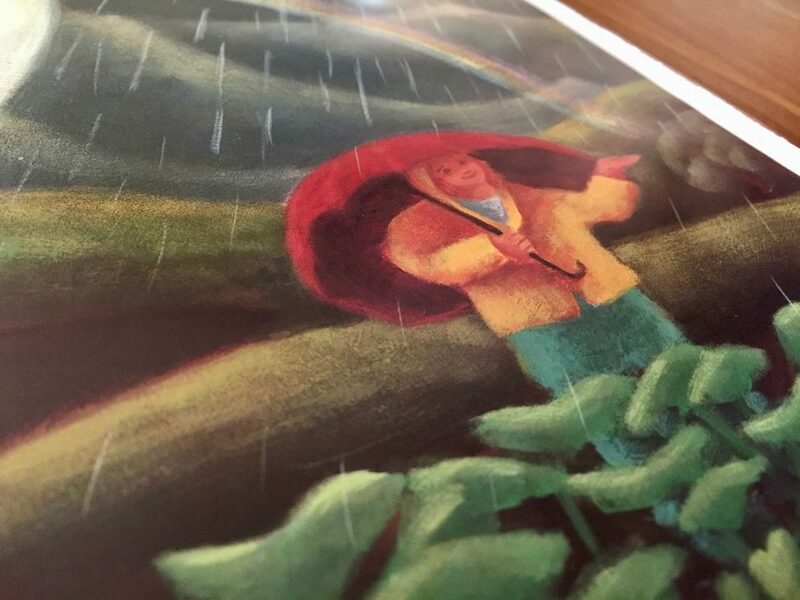 Readers at every stage of life will appreciate this touching children’s book. Complement with with Finding Winnie, the amazing origin story of the bear that inspired the character of Winnie the Pooh.